Held concurrently with a showing of his art project at the International Library in The Center for Book arts in Soho, Visual Text at Ubu Gallery was Helmut Löhr’s first solo exhibition in New York. A dual resident of Düsseldorf and New York, Löhr—at the time this exhibition opened—had participated in over 170 gallery and museum shows in Europe, Japan and the United States. 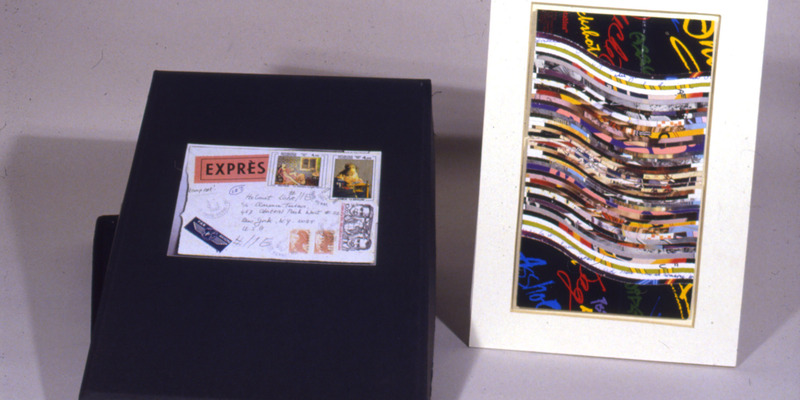 Celebrating his fifteen years of living and working in New York, this exhibition surveyed Löhr’s visual text collages, artist’s books, photographs and objects, made during those years.